We have a winner, indeed we do: the 2018 Saint Louis Chemical Science and Technology Award is proudly presented to Susan Riordan, team member in the Global Regulatory Science Department at Monsanto. Susan’s career can serve as an inspiration to others who develop an interest in the chemical sciences without a traditional undergraduate degree in chemistry. She received her Bachelor of Science degree in Business Administration/Operations Management, with emphasis in computer programming and data analysis from Missouri State University in 1983. She joined Monsanto Company in August of that year, and while at Monsanto she pursued post-graduate courses in chemistry, biology, statistics, epidemiology and FORTRAN and SAS programming. Her work in statistical programming and data analysis at Monsanto has resulted in 18 publications in peer-reviewed journals in the chemical sciences. 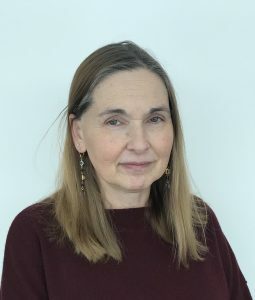 Initially a programmer/analyst in the Epidemiology Department of the Environmental, Safety and Health Division of Monsanto, Susan developed and supported all departmental programming applications that included data analysis and reports on epidemiology studies. Susan and colleagues conducted a study of the incidence of cancer in manufacturing workers at the alachlor herbicide plant in Muscatine, Iowa and concluded that mortality from all causes combined was lower than expected and cancer mortality was similar to the state rate. In 2003 Susan received the Monsanto Excellence in Dialogue/Transparency/Respect Award for the “Farm Family Exposure Study”. This study was a collaborative program between industry and academia designed to assess the exposure through bio monitoring of farm families to three pesticides: glyphosate, 2,4-D and chlorpyrifos. Both the alachlor epidemiology study and the farm family exposure study were published in the peer-reviewed literature. In 1997 Susan moved to the Regulatory Statistics Team in Global Regulatory Science Department at Monsanto as a statistical programmer. She was a major contributor to the safety evaluation of Monsanto’s new corn, soybean, and cotton crops with insect-protected and herbicide-tolerance traits. 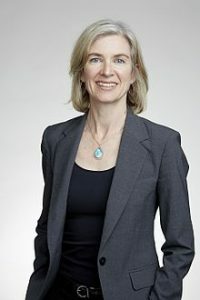 Susan managed the assembly and statistical analysis for the nutritional composition data of Monsanto’s portfolio of crops conducted under the strict requirements of Good Laboratory Practices. This data was submitted to the US Food and Drug Administration and other regulatory agencies worldwide. In addition, the data were submitted for publication in peer-reviewed scientific journals. Susan was co-author for eight publications for products that included herbicide-tolerant Roundup Ready® soybean and corn, insect-protected corn and soybean, and SmartStax® corn. We all extend our congratulations to Susan Riordan for her excellence. The award will be formally presented at Recognition Night on March 10th.